Join Calgary and Area Liberals at Schanks for Grey Cup! Tickets are only $40 per person including burger buffet and one drink ticket. We need your support! (Scroll down on the page for the information on Grey Cup). Canada has lost a true leader and an exceptional politician whose last words were spoken for the benefit of all Canadians. I have always admired his notable courage and dedication. Regardless of political differences, Canadians have to respect Jack's passion for his core beliefs and vision for Canada's future embodying equality, compassion and hope. Patronage appointments top agenda for Senate? What happened to Harper's demands for senate reform? Tory Campaign Promises don't last long - the house isn't even in session and Jim Flaherty's already starting to dance around the black and white campaign pledge the Conservatives made about the deficit. I wonder if this budget, reported "fundamentally the same as the one introduced March 22" will also have an $11 Billion hole in it? The moment of decision - elect a Liberal Government! Your voice. Your vote. Your opinion. It matters! Remember that Polls in Alberta are open from 7:30 am to 7:30 pm. The polling stations will be least busy between 1:00 and 3:00 pm. Vote and make sure your voice is heard! Don't forget to vote on Monday, May 2nd! Take a friend or neighbour to the polls with you! Thank you for your support! On May 2nd you have an important choice. Commit to vote Liberal and choose a better Canada! Use our Facebook App to share your reason for voting Liberal with Canadians across the country, and put up your digital lawn sign. It's time Canada - Rise Up! Fantastic to see such a broad range of organizations supporting the Liberals! Find out where to vote on May 2nd! Jean Chrétien speaks with passion about the election "Canadians won’t just be casting a vote for the next government on Monday. They will be writing the next chapter of Canadian history for a generation. The Charter of Rights and Freedoms, universal health care, national unity, fiscal responsibility." What are our values? Honesty? Accountability? Fairness? How about Deceit? Deception? Contempt? The choice is clear on May 2nd! My Canada is inclusive... is yours? It's nice when the Tory's do the footwork on Harper's past. Binder of quotations damaging, shows SH's destructive agenda for Canada. Commit to vote for the winning team! Vote Liberal! The Liberal Party has collected some of our favourites from creative Canadians - check it out! So this is how liberty dies? Games? Secrecy? Waste? Misguided Priorities? Had enough Canada? Fantastic - I had to share! Very well done! "A song for Canada to engage action in our country's federal election. Have your say, inspire your fellow Canadians, Rise up for Canada and VOTE May 2nd!... The footage was used in the spirit of encouraging people to vote and is not intended to support any specific party although this video was inspired by Ignatieff's speech." Small Business - A Priority for Canada! Too busy saying what his opponents *might* do to tell Canada what he would do. It concerns me when any elected official, much less one who is running for re-election side steps questions like this. Doing another door knocking blitz this weekend! Do you have a few hours to join me? Drop me a note. The more volunteers the merrier! Forecast is much nicer this weekend - warm weather, we've left the snow far behind! Secrets and Lies - from Rick Mercer's Blog. Another fun read - too good not to share! "Education is the most powerful weapon which you can use to change the world." -Nelson Mandela This election is about the issues - we all need to make an effort to learn more about the issues that matter to us, and to talk about them with others. An educated vote will create the Canada we deserve! Serious human rights issues in question here! Wow! Podcast from Saskatchewan Morning Edition - worth listening to. This article discusses controversial issues around funding for planned parenthood. Very serious human rights issues - how can we decide these things behind closed doors? It's long but worth the time. Another discussion about women's rights in Canada's future. An investment in arts and culture is an investment in our economy. Another musical response to politics in Canada. We are seeing an upsurge in political outcry in music - we all need to listen to the voices of Canada! Excellent article from October 2010 discussing Canada's real military needs. Worth reading and sharing. Article in Cochrane Eagle about important election issues. Fantastic to see this type of coverage from the local press! 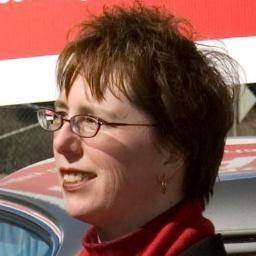 Cochrane Eagle Online – Cochrane's Source of News and Opinion » Blog Archive » Liberal candidate. Fantastic short video discussing the marginalization of women, and women's rights in Canada. It's time to speak up! It's time women were heard! Another fantastic article in the Okotoks Western Wheel. Check it out! This is happening right now in our Canada. We need to address this now - not five years from now. One more important reason to vote Liberal, and encourage your friends and neighbours to raise their voices in support of a brighter economic future with support for families, education and health care! Another youth sending a musical message about democracy. These are great to see! Youth are sending out a musical message - the involvement with this Federal election is fantastic! Why are Canadians ignoring the serious charge of Contempt of Parliament? Dan Gardner explores the issue in this article.